Kate Middleton news: Kate saw her future husband when they were kids. So, it seems the one of the world’s most high-profile fairytale romances began decades earlier, with a chance meeting. 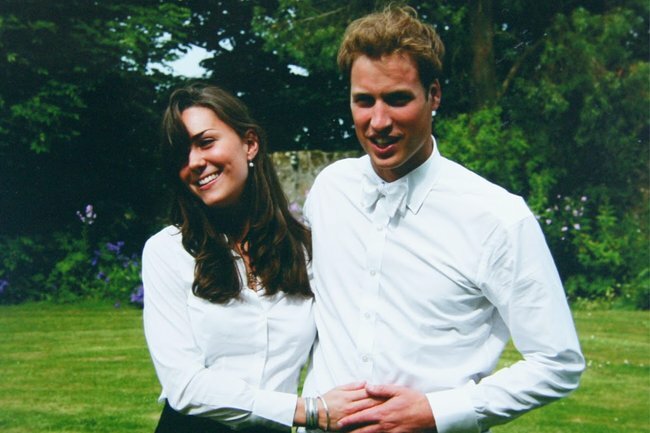 It’s been well-documented that Prince William and Kate Middleton first met in 2003, when they were students at St. Andrews University. But, according to royal expert and biographer Katie Nicholl, the pair crossed paths in their elementary school days, when their schools, Ludgrove Prep and St. Andrews Prep, played each other in sports. “Although [Kate] wasn’t especially interested in boys, the arrival of one particular young man had caught her attention. Kate was also just nine years old at the time. It was then that Kate got her first glimpse at the future King of England; and the rest, as they say, is history. The couple became engaged in 2010, were married in 2011, and have Prince George, five, Princess Charlotte, three, and 11-month-old Prince Louis, together. But of course, that’s the part of the fairytale you already knew.